Looking for an autumn adventure? 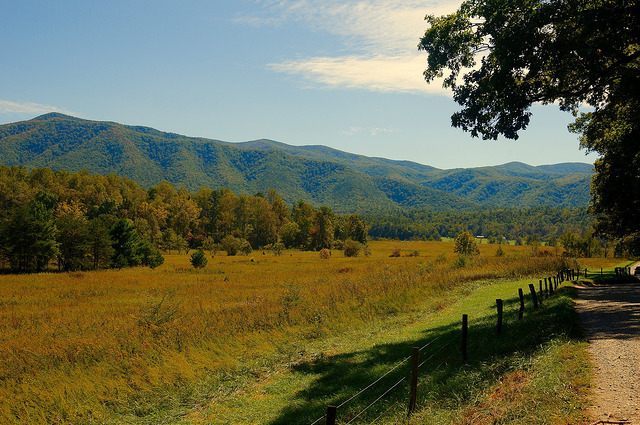 Don’t overlook what Tennessee’s Great Smoky Mountains can offer you. Hidden among the magnificent forests are Gatlinburg cabins you’ll enjoy escaping to, time and time again. Just moments away from downtown, these cabins provide convenience as well as a grand experience perfect for celebrating fall with your closest friends. A traditional cabin favorite, make more than s’mores around the campfire—create memories too. Layer graham crackers, melted milk chocolate and gooey marshmallows for a toasted treat you won’t be able to resist. Combine these simple yet delicious concoctions with the ambiance of a roaring fire and autumn leaves, and you’ve got the perfect backdrop for a fall night. Get your adrenaline pumping when you show off your competitive streak at one of Gatlinburg’s many go-kart parks. Race against your friends to the finish line then reward yourself with a refreshing beverage. Maybe even make go-karting just part of an all-day friendly competition. Toss in some poker, a bit of arcade games and some skeeball to wrap up the night. Do you want to really experience the Smoky Mountains? Take a zipline tour through the treetops. During the fall season, the mountain greenery transforms into a brilliant and fiery landscape. Whiz through the trees and watch the shades of orange and red fly by. Let’s just say that it’s an ‘elevated’ way to enjoy Tennessee’s natural beauty. Hiking is a great way to explore the Tennessee mountains. Minutes away from our Timberwinds Cabins lies the Great Smoky National Park with plenty of trails made for both beginners and experienced hikers. Be sure to pack water, snacks and a pair of binoculars so that you can be prepared for an all-day hike observing the wildlife. At the end of the day, find relaxation at one of our Gatlinburg cabins nestled in the mountains of Tennessee. Have everyone bring a bottle of wine and cover the labels. Blind taste each one and then vote for the best and worst wines. Nothing beats sipping on fine wines while overlooking the Great Smoky Mountains. Discover fall in ways you’ve never imagined in the Smoky Mountains, then relax and unwind in our Gatlinburg cabins. Book your cabin reservation with us today by calling (855) 359-1507.